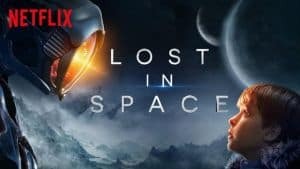 Lost in Space Season 2 Confirmed | Nerd Much? It looks as though Netflix’s Lost in Space has performed well enough to earn a second run. The streaming site has confirmed that Season 2 of the show is on the way. Critically, Lost in Space is a bit of a mixed bag. The remake of the 1960s series holds a Metascore of 58%, so it didn’t exactly earn critical acclaim. Review scores aren’t everything though, as is evident of Netflix’s renewal of the show. The series is set 30 years in the future during a time when space colonization is a realized achievement. The show centers on the Robinsons who have been selected to join other families aboard the Resolute interstellar spacecraft. However, during their travels, an alien robot breaches the Resolute’s hull. The breach forces many of the Resolute’s inhabitants to abandon ship and then crash land on a nearby habitable planet. There, they are forced to deal with the dangers found on this foreign world. Some from the exotic location, some from the people they’ve arrived with. Lost in Space stars Molly Parker as Maureen Robinson, Toby Stephens as her husband John Robinson, and Maxwell Jenkins, Mina Sundwall and Taylor Russell as their children Will, Penny and Judy. Ignacio Serrichino serves as the roughneck engineer of the group. And Parker Posey plays the nefarious role of Dr. Smith. Netflix hasn’t confirmed when they expect to begin streaming Lost in Space Season 2, but it could likely debut a year after Season 1 which would be April 2019.